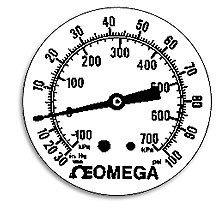 To view images of the dial faces available for the Omega PGC and PGP series pressure gauges please view the Specs PDF. To order gauges with standard dial faces please use the related product link below to the PGC or PGP gauge ordering pages. Custom dial faces are also available but may require a minimum purchase and setup charge. Please consult Sales or Pressure Engineering for pricing and availability.